The process for creating and executing a Crown Funding Agreement (CFA) variation takes at least 3 months. Planning ahead and meeting deadlines is crucial to developing and implementing a good CFA variation. The process cannot accommodate immediate funding transfers, and is not the appropriate mechanism in that case. 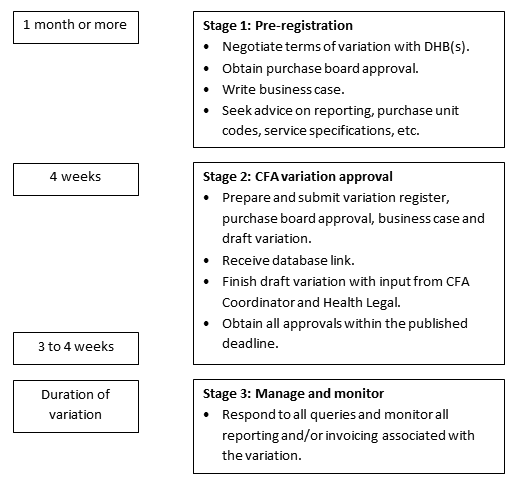 The diagram below outlines the main stages in creating a CFA variation and gives the minimum time allocation for each stage.